Being about as far from either coast as you can get, fresh oysters are a real treat around here. This year we got some fresh-shucked, farm-raised MONSTERS, so I had to make our usual oyster stew and a new (for us) treat – fried oysters. Drain shucked oysters in a colander. In a shallow dish, combine the bread crumbs and spices. Pour the beaten egg into another shallow dish. Dip oysters in the beaten egg, and then into the bread crumb mix, coating each oyster thoroughly. 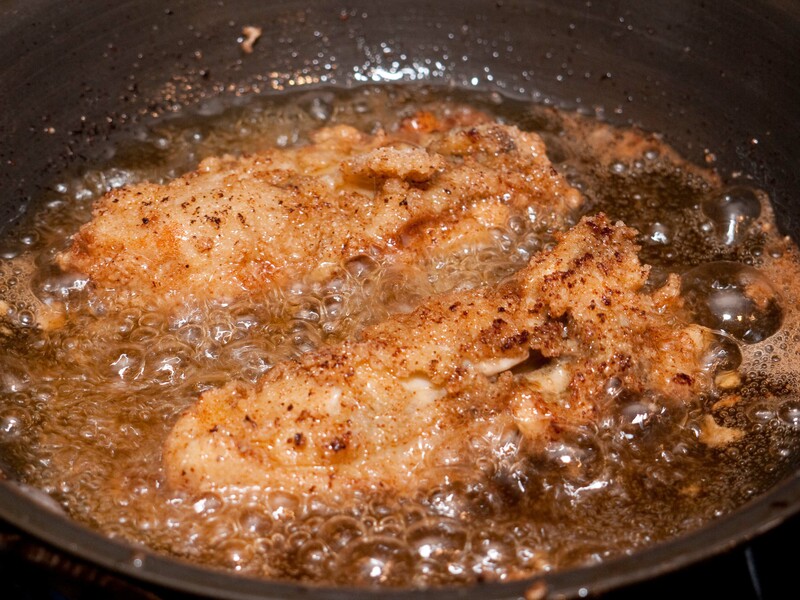 Heat oil in frying pan over medium-high heat until it just starts to shimmer. 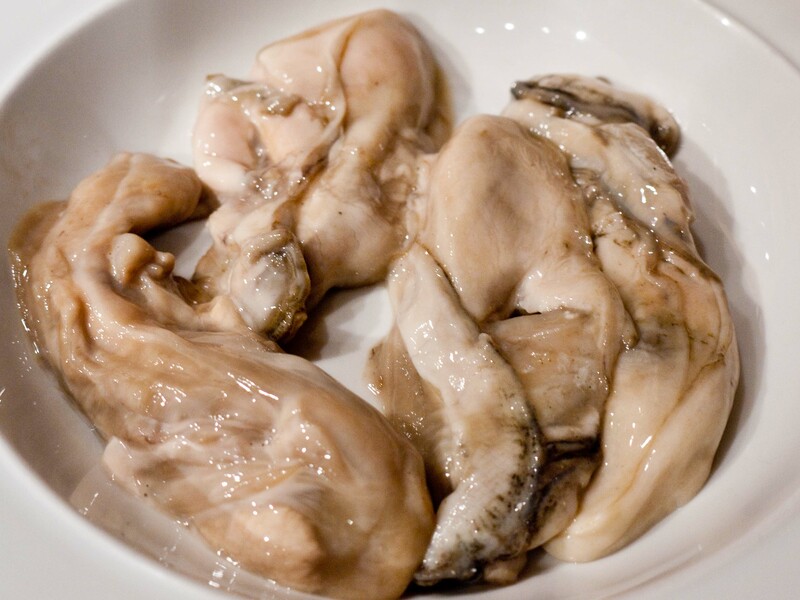 Add oysters a couple at a time and fry until they are golden brown on one side, about 3 minutes. Turn and brown the other side for another 3 minutes, or until they are golden brown and edges are curled. Remove from frying pan and serve immediately with some hot sauce on the side. Melt the butter in a 4-quart saucepan over medium heat. Add the onion, garlic, and celery and sweat until translucent, about 4 to 5 minutes. Add celery salt, Bay seasoning, and hot pepper sauce. Add the cream, milk and bring to a simmer. Do not let boil. Add the oysters, lemon juice, and parsley and simmer until the oysters start to curl, about 3 minutes. Salt and pepper to taste. 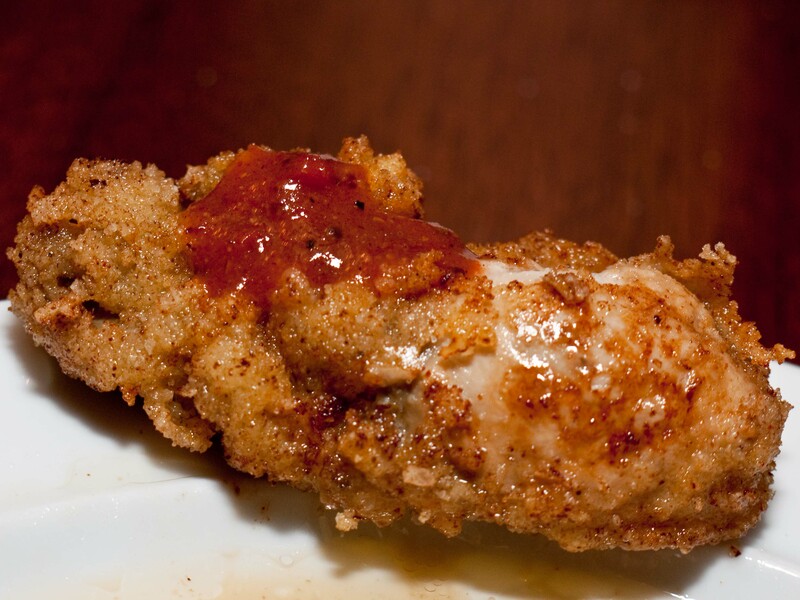 Serve with crusty bread and more hot sauce. For as rich and elegant as these two dishes are, they took no time to make. I wanted to serve the fried oysters as an appetizer, so I got a little over a pound of oysters and separated out a few of the biggest ones for frying. I got the oyster stew done to the point of adding the oysters and just set the heat to low while I fried up the reserved ones. When we’d finished with the appetizer, I add the rest of the oysters to the pot, raised the heat, and the stew came together in minutes. The fried oysters were briny and sweet, with a crunchy coating – wonderful. 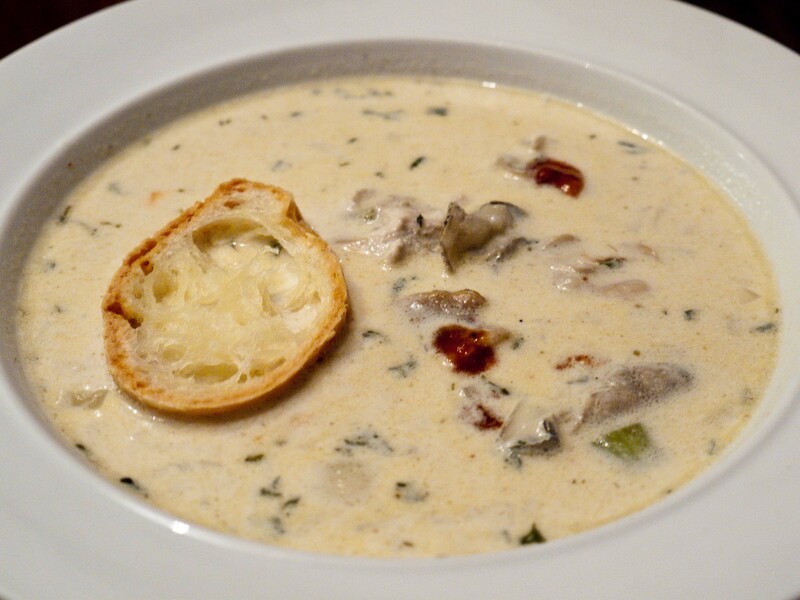 And the oyster stew was rich and savory. The oysters were so big this year that they really stood out in the dish. Of course, I used hunks of gluten-free baguettes to soak up all the broth. I’m a land locked blogger too. Not an oyster fan, but boy you sure do make them look good. Fried looks wonderful and that soup looks creamy and delicious. Happy New Year. I used to love oysters, at least roasted ones. But I saw a drunk guy do a “party trick” with one about 15 years ago and to this day, I can’t eat them anymore. I’ll spare you the details. The soup looks really good though!